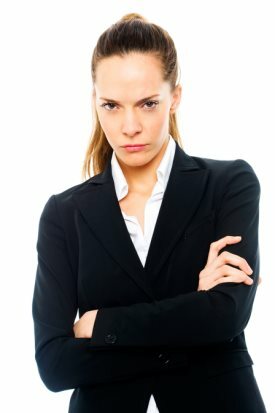 Are You Leveraging the Power of Body Language? As recruitment professionals, we respect the power of a first impression. Meet a candidate face-to-face and in mere seconds you’ve formed a mental picture of that person based on hundreds of non-verbal cues. Whether you buy into the research that states “two-thirds of communication is non-verbal” or view it as myth, the fact is, as humans, we are equipped to evaluate each other’s body language as well as our spoken words. Shouldn’t we be using this inherent skill to become even better at recruiting? Yes, you can build on the natural skills you already have for assessing all kinds of job candidate qualities, including truthfulness and capability. There are a ton of resources on this topic; one book I like is Snap, by Patti Wood. Are you aware that on average, people blink 20 times per minute? When someone’s blink rate changes, it can signal a variety of emotions – nervousness, discomfort, excitement – that you may not recognize based on a person’s general facial expression. That’s useful information in an interview. I appreciated the attention Snap paid to modifying your own body language, too. Body language is, of course, a two-way street. When we become better communicators through changes in our body language, we can foster a better connection with candidates. I have to believe this would lead to greater accuracy in candidate selection and more immediate engagement with candidates. Here’s another way we can leverage the power of body language: Bring non-verbal cues into play earlier in the hiring process. Think about the time you spend getting to know a candidate via a resume, or LinkedIn, or even a phone screen, and then think about how much you can learn immediately in a video interview. In essence, it’s a highly effective shortcut. I’m not suggesting we stop using these other tools, but rather, we make greater use of a technology that offers a better chance at quality of hire and proven savings in time and resources. Our clients have mentioned what an advantage it is to meet a candidate via video interview in order to gauge their fit with company culture before flying them in for an interview. Our clients want to know if a candidate has what it takes to deliver the customer experience that is promised by their brand. They’re looking for candidates’ smiles, the eye contact they make, what their hands are doing as they speak and listen, if they have a posture that suggests engagement and excitement about the job opportunity. With video interviewing, our clients gain access to a large volume of information in addition to the information our solution captures in advance, like resumes and pre-recorded answers to a set of client-determined questions. They can make candidate assessments based on a much more comprehensive set of data. There is, per usual, a caveat: Recruiters need a quality video interviewing platform in order to see all of the subtleties of non-verbal cues. A crisp visual image, clear sound with appropriate volume, and no time delays to hinder the conversation. Solutions built for hiring, offer that high level of quality; chat tools do not. As a society, we are moving toward the visual as the most prevalent form of communication, and it makes sense: 75% of the sensory neurons in our brains are devoted to processing visual information. Body language, leveraged through video interviews, is one more input we have at hand to make the right-fit match between job candidate and job.